Cupcakes. The word alone brings to mind little pieces of heaven. They are the perfect size- not too large, not too tiny they are the ultimate chameleon of desserts that can be dressed up or dressed down. Over the past 5 years, companies like Sprinkles have turned cupcakes into a designer treat. We have even made cupcake wedding cakes and a variety of cupcake shaped cakes that give each person attending an event or party a perfect sweet treat. I wanted to share some helpful tips to anyone who might be venturing off to do their own – but of course, we’re always here to help you execute your vision. I highly recommend that you bring any and all ingredients to room temperature before you mix anything. It might sound silly, but room-temperature ingredients combine more easily than those at varying temperatures. It also helps minimize lumps and any other inconsistencies. No joke. There’s a reason toasters have settings – it’s the same with an Oven. Let the oven get to temperature – otherwise the timing will be off and you’ll have undercooked mushy cupcakes. Yuck. When pouring the batter, resist the urge to eyeball your pours. If you pour the same in each slot in the muffin tin- the cupcakes will bake evenly. It’s a small step to make everything cook at the same rate. A plain cupcake becomes a conversation piece with the right flare. The same way jewelry adds something to an outfit- consider plain frosting with fresh flowers, action figures, sparkles, or even a mini logo. There’s no limit to the creativity here. If your cupcake has cooled, you can use a decorating bag and a tip to inject the center of your cupcake with filling! Take a plain chocolate cupcake, and stuff with salted caramel. The possibilities are endless! But, just in case you are pressed for time, and aren’t sure which direction to go. 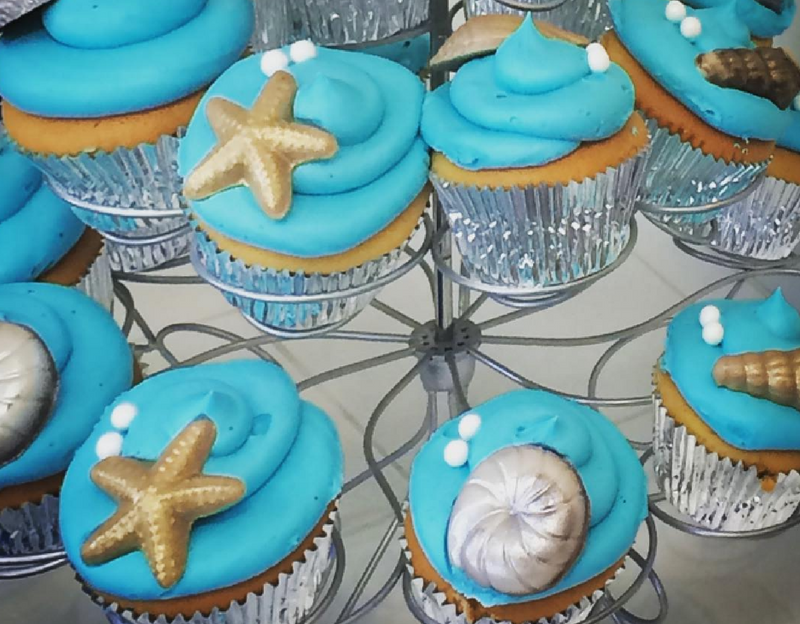 We can take your ideas and create custom cupcakes that live up to anyone’s dreams.